Today, the Red Dead Online Beta gets its first big batch of updates including new gameplay, weapons and clothing, additional balancing and a slew of community-requested improvements. In addition to the new gameplay and improvements, PlayStation 4 players will have the benefit of early access to a host of new content. 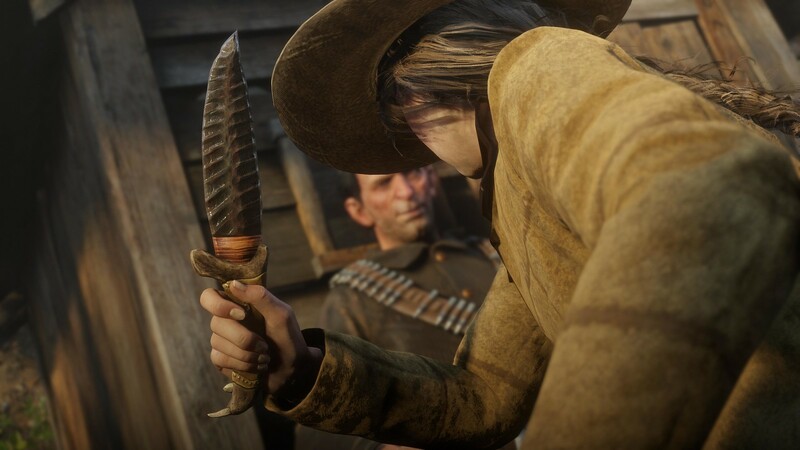 While shops and Catalogues see significant new inventory this week, PlayStation 4 players get early access to over 150 new clothing items including variations of the snake adorned Diamondback Hat, the double-breasted Hartman jacket, the sleek cowhide Comstock Boots, vests, gloves and more. You’ll also get early access to three new emotes to taunt or greet your Posse, friends and rivals with. Coming soon, the Special Series is exclusive to PlayStation 4 players featuring the latest early access modes. Join the special series by finding it on the map with a diamond icon or through the quick join menu. The first early access mode is Open Target Races arriving in the coming weeks. Pit yourself against 15 other players on horseback in a competition to takedown all checkpoints on the map in any order you like. Winning requires speed, proficiency with the bow and arrow, racing skills to beat your competitors and a killer instinct to cut down anyone who takes the lead. Take advantage of weapon and horse stamina pickups where you can, use your limited bullets wisely to remove targets or your attack your competition. The Red Dead Online Beta will continue expanding each week with new content including the Evans Repeater rifle, new competitive gameplay including three new Showdown Modes and more. In addition, you’ll see changing weekly bonuses for playing and limited stock clothing items rotating in supply each week. And keep an eye out for more early access content in future updates.